Hi Sometimes Sweet readers! I'm Melissa, mama to 1 & 1/2 year old Everly and 6 week old Arlo and I write a little 'ol blog called Dear Baby. Dani was so sweet to let me stop in and hang out today, so I thought I'd share a little adventure our family recently went on. Last week we got itchy to get out of the house and decided to indulge our daughter in one of her greatest loves. Ducks. 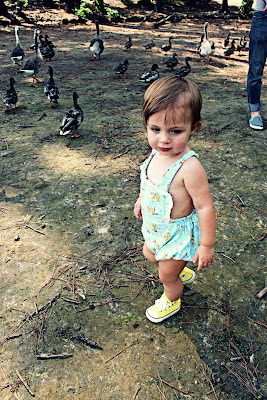 I'm not sure why, but this child of ours is obsessed with ducks. It started with an infinity for the squeaky rubber ducky in her bath and has quickly morphed into pointing out ducks as if we are living in an ongoing game of Where's Waldo. "DUCK MAMA!" she yells as she spots a tiny duck embroirdered on her brother's onesie. "Duck. Duck. Duck" she points them out on each page of the Animals on the Farm book completely ignoring my exuberant efforts to get her to share in my love of horses. "Look at the pretty brown horse, Everly!" I say, "Horses say neigh, neigh". "DUCK!" she says back to me. 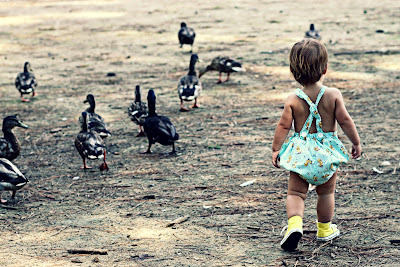 So off we went to our local park to feed the ducks. 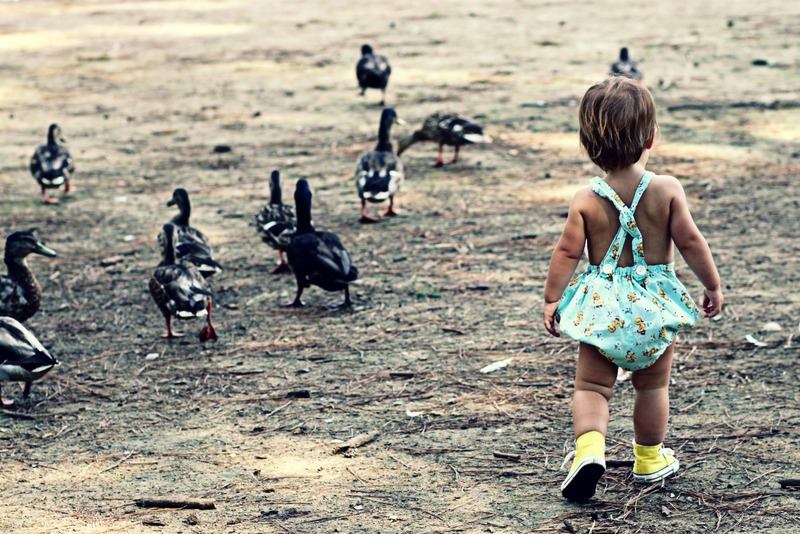 As soon as she spotted them, she starts chirping "Duck! Duck!" pointing to them left and right. She was rocking back on her heels, squealing and clapping and chasing those poor little buggers as they ran away from her. 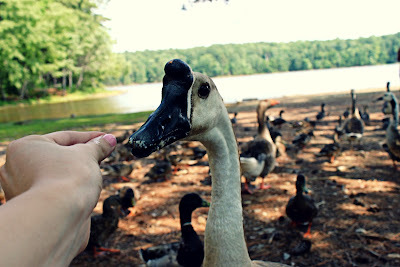 We decided to pull out a pack of crackers to share with our new feathered friends and suddenly found ourselves surrounded on all sides by waterfowl, including one very large and very aggressive goose who started poking my leg with his beak to get my attention. This goose had clearly never heard the words "personal space" and Everly decided that for as much as she LOVES ducks, she very much does not love geese. 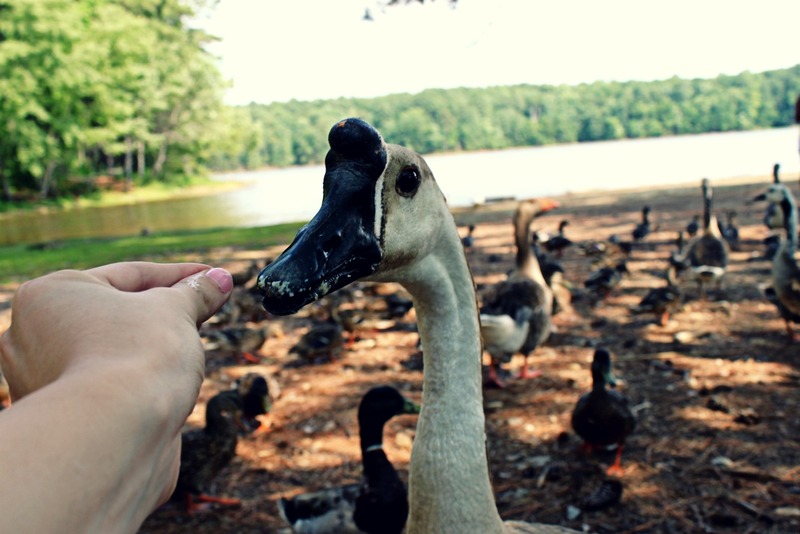 Not exactly how I had pictured it, that's for sure... but eventually the nosey goose and his friends realized that our treats were gone and they waddle off to find someone else to feed them. Everly released her death grip on my legs and headed out once more after the little ones singing "Duck! 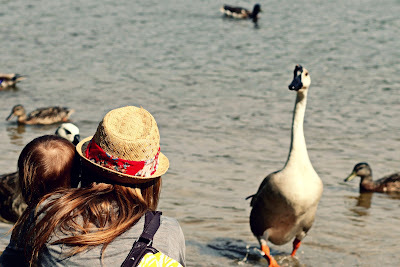 Duck!" with so much joy in her voice. Arlo, on the other hand, slept through the whole thing. Apparently he doesn't share his sister's passion. 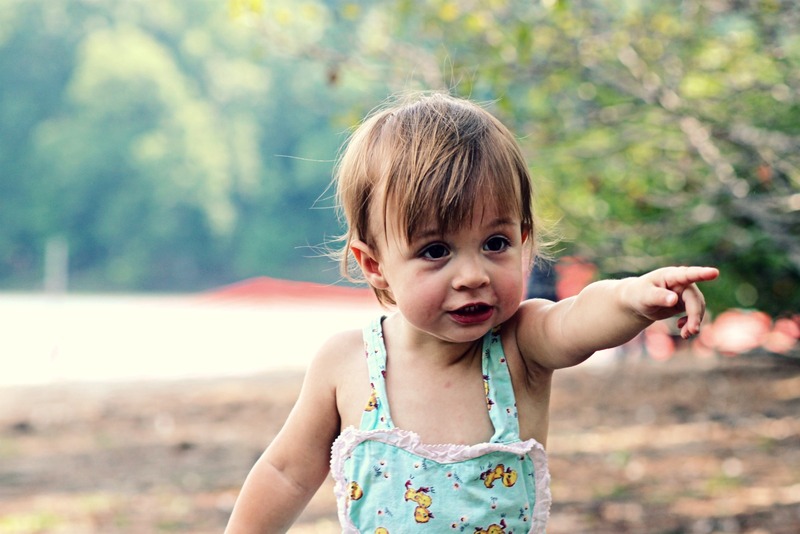 These little adventures are some of my favorite moments as a parent. So simple and uncomplicated. Most often spontaneous. And the very essence of what childhood is all about. 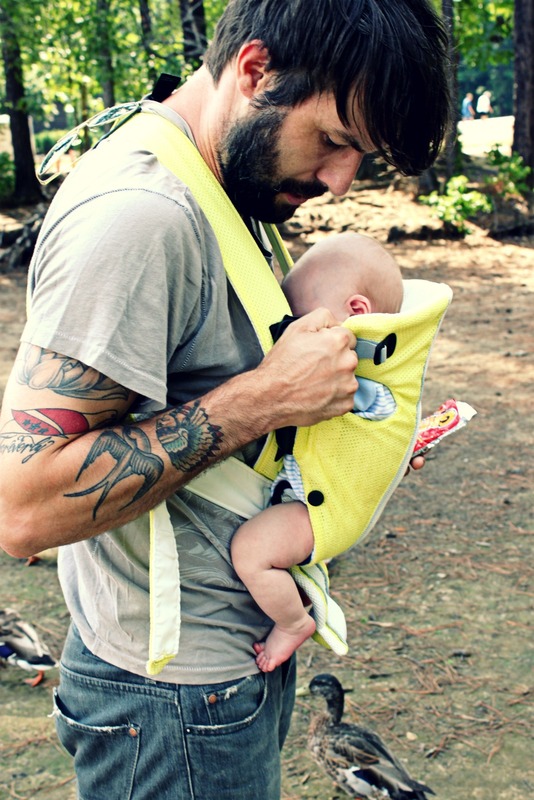 LOVE that yellow baby carrier! Sorry to be a grammar witch, but I think you meant to write "affinity" not "infinity". geese can bite hard..be careful! such a sweet post and a sweet family! That looks like so much fun! I'm with your daughter...geese are a bit scary compared to those cute little duckies. :) you have a beautiful family.